DON’T GET HUNG OUT TO DRY WITH WATER BILLS! If your setting up a laundrette you may want to consider your water supply. The average washing machine uses 13,500 gallons of water per year. This is as much water as you will drink in your lifetime. If you are setting up in a location that wasn’t previously a laundrette such as a shop or an industrial unit then you may need to look carefully at the sites water supply. Making sure that your premises are capable of having a larger incoming water supply is essential. Most washing machines will have a minimum incoming water supply of 15mm. This amount of water is more than enough to flush a toilet or run a tap but when it comes to running a laundry operation which requires many washers to be filled simultaneously, you may need to investigate the options available to you. With rising utility costs being a hot topic at the moment, you should also try to consider saving money where you can. 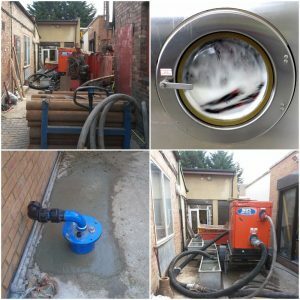 The client secured a substantial contract for a hotel chain and needed to expand their laundry in Islington. The existing water feeds were struggling with the required flow so an alternative water supply was required to meet the demands of the expansion. 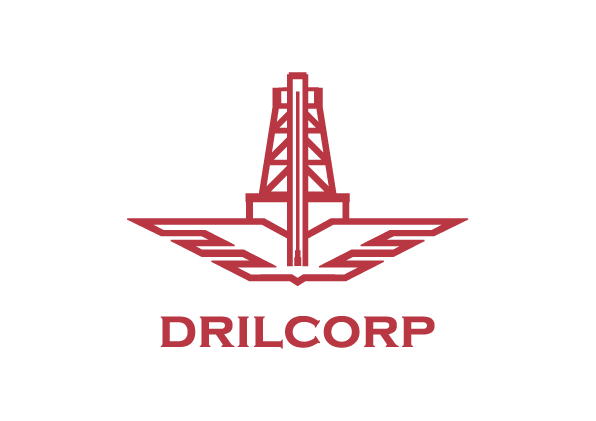 The client approached Drilcorp to construct, develop install and connect to service a production well capable of producing up to 17-18 m3 a day. Over a period of 8 days the Drilcorp team carried out the works to connect and install the system. As with all London sites the area we were working in was small with restricted access and therefore we opted to use the Beretta T44 drilling rig using circulated mid drilling techniques. Before the works could commence we carried out a service search to ensure that no major services were buried beneath the drilling location and an inspection pit was dug to a depth of 1.2 metres to check that there were no shallow unrecorded services in the area. The boreholes were drilled to a depth of 39 metres below ground level (3M into chalk) at a diameter of 216mm. Drilcorp then installed a 139mm steel casing and fully grouted this into position using sulphate resisting cement. Once the cement was set we drilled through the casing to a depth of 72 metres beyond the casing. The well was airlifted to remove all of the drilling debris and to assess the yield of the well. A 4” Borehole pump was installed to a depth of 40M and connected to the service via a filtration The Laundry is now able to run at full capacity without any issues. Brine Wells get seal of approval.